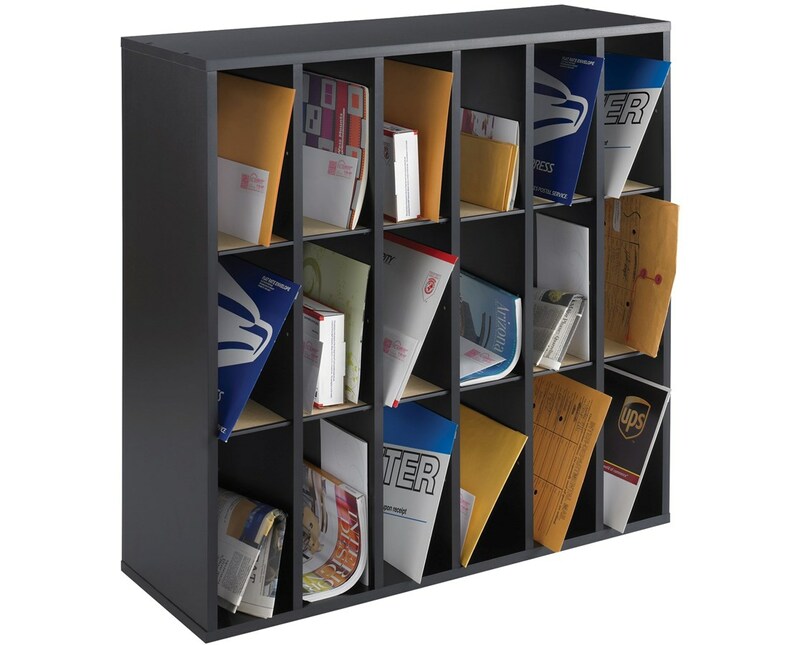 The Safco Wood Mail Sorter is a perfect piece of furniture for organizing mail, literature, brochures, booklets, paper and other documents. 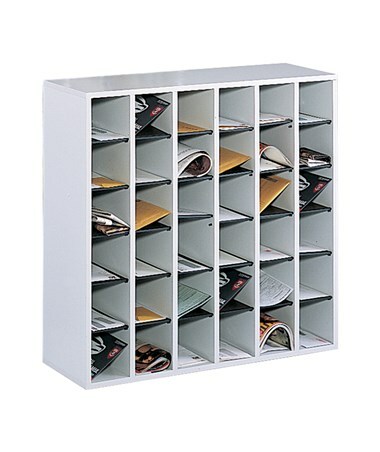 It has adjustable hardboard dividers and compartment sorters with large slots to accommodate over-sized envelopes. 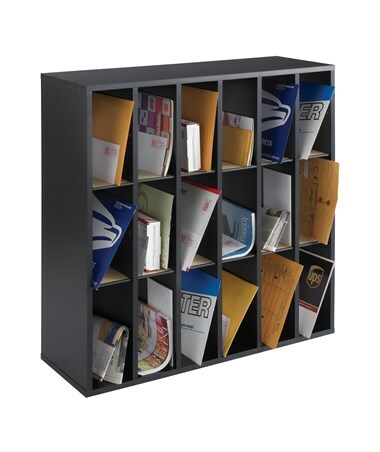 Also included are labels and label holders for easier compartment identification. 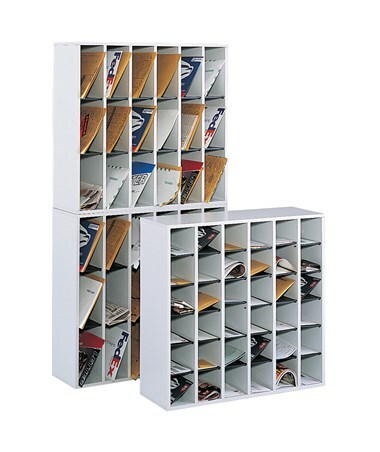 This wooden mail sorter can be stacked up to two units high to increase sorting capability. 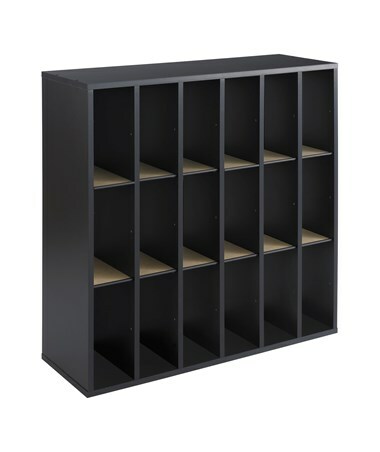 It is made of compressed wood with a durable laminate finish and solid fiberboard back for stability. 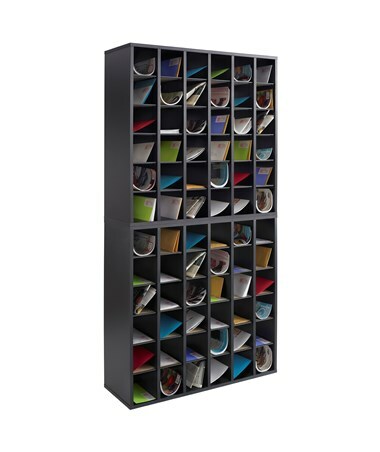 It is also BIFMA rated for product safety, performance standards and guidelines. 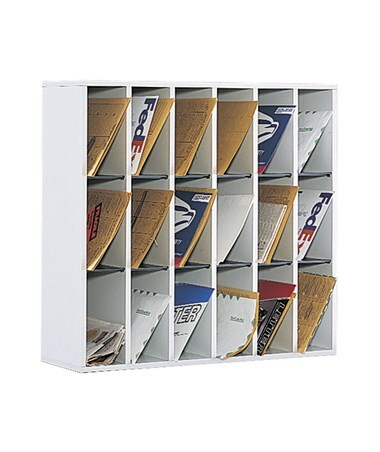 The Safco Wood Mail Sorter has options for number of compartments and colors. Please select your preference from the drop-down menus above.